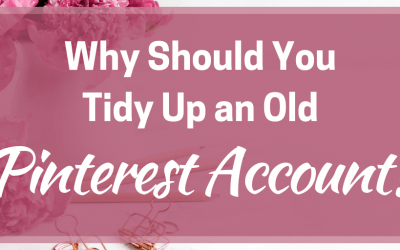 There are lots of topics we chat about when it comes to Pinterest. One recurring set are questions about Pinterest followers – how do I grow them, do I need them, what does following mean on Pinterest. So it seemed a good idea to bring all those important questions about Pinterest followers into one place to answer. 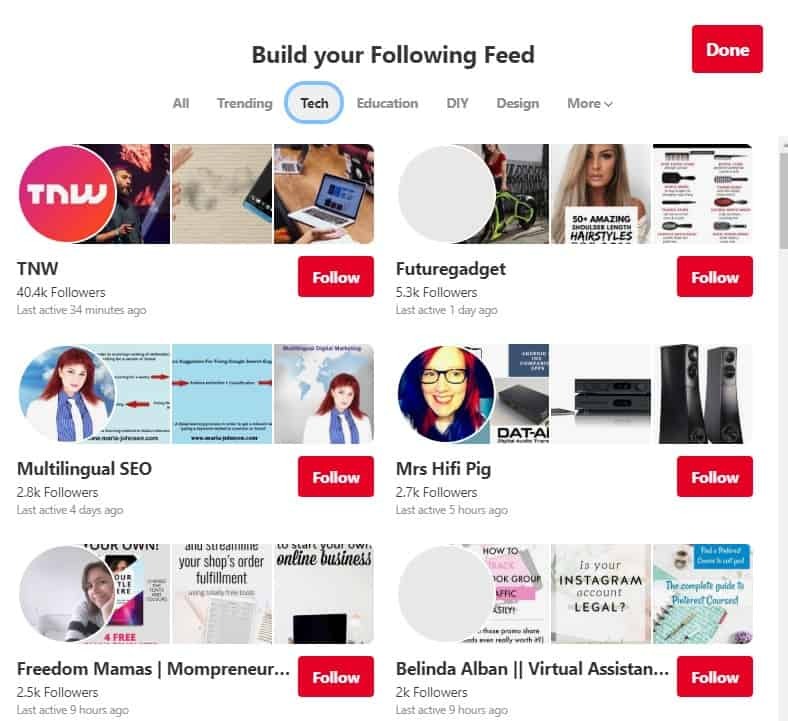 What do ‘following’ mean on Pinterest? When you go to someone’s Pinterest account, you will notice alongside their name and bio is a button that either ways ‘follow’ or ‘unfollow’. This is how you sign up to follow or unfollow someone on Pinterest. In that respect, it is similar to Facebook and Instagram – those people will appear on a list called ‘followers’ which is alongside the likes of ‘pins’ and ‘boards’ on your profile page. Here you can also follow these people back if they are in your niche. What can Pinterest followers see? What Pinterest followers can see are all of your normal boards and any group boards. If you have secret or archive boards, then these only show to you, the account owner. Followers can’t see these. With group boards, your followers don’t automatically follow these boards unless you are the owner of them. However, they can view them on your profile, go into them and see all of the content. They can also follow that board, click on any of the people on the board to visit their profile and follow those people. In a relatively new feature, there is also an option called ‘request to join’ when someone enters a group board, they aren’t a member of – I’ve not used this myself yet as it only appeared in the last few weeks. 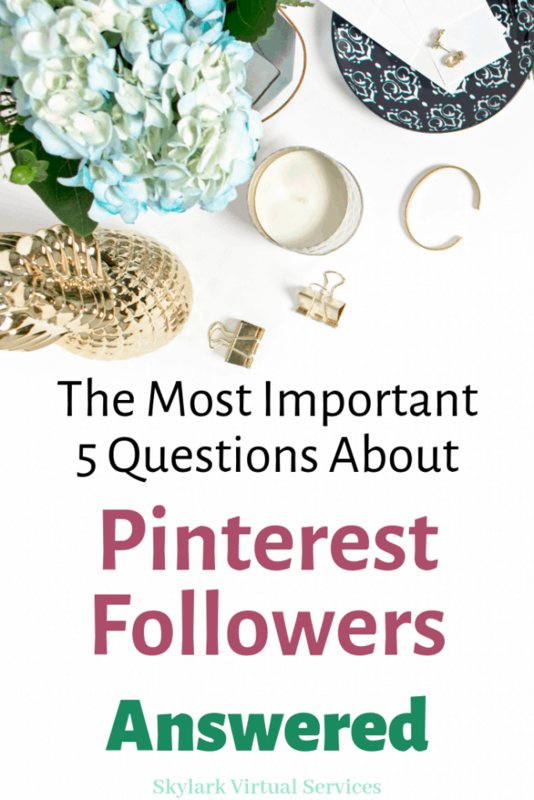 Perhaps the most key question about Pinterest followers is whether they are important or not. To understand the answer, you need to know a little about the Smart Feed, the algorithm that runs Pinterest. I have a whole article on the Smart Feed but let’s summarise the parts that relate most to followers. When you first pin new content, your followers are shown that pin. If they react and pin it to relevant boards, this helps boost it and tells Pinterest that it is good stuff. It is then released into the main feed and will start to appear in searches. Now if your followers don’t repin it for whatever reason, it doesn’t mean the pin will die but it may be more of a slow burner than a potential viral pin. This is why I always tell people that it is important to have followers who are interested in your content. If you pin about cupcake recipes and your followers are all into DIY and hate cooking, they aren’t going to pin your new cupcake recipe. That means it isn’t going to get that initial boost. But if your followers are cupcake fans, excellent they are going to pin your stuff. 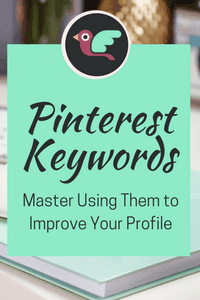 There are loads of articles out there about how to build a following Pinterest and grow Pinterest followers. There are also some shady offerings like ‘free Pinterest followers’ – avoid these because Pinterest followers should never cost anyway. In fact, anything that seems too good to be true usually is. Ask people to follow you – sometimes the easiest way is simply to ask your audience to follow you. Add a snippet in your weekly email or have a popup banner along the top that prompts them to follow you on Pinterest. It is amazing how many people will do it! Cross post to other social media sites – make a little graphic for Instagram or Facebook and ask your audience to follow you on Pinterest. After all, they like your stuff enough to follow you there, why not on Pinterest too? 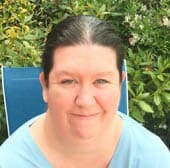 Why did my Pinterest followers drop? 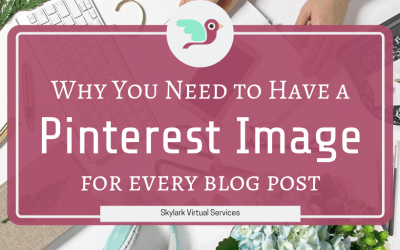 Our fifth of the questions about Pinterest followers is one I hear a lot and there’s not always a firm answer – why did my Pinterest followers drop? There are two main reasons. You have deleted boards. It is always best to make a board secret or archive it because if you delete it, you lose any followers of that board. And if they weren’t following your whole account, you lose them completely. 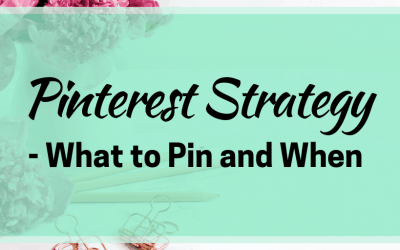 It is true that your Pinterest followers do play a part in the Pinterest version of ‘reach’ but you can also get perfectly successful Pins with little or no following. And I’ve found that by pinning quality content of my own and other people’s that I naturally acquire followers who are interested in what I do. So don’t worry if things seem slow or your following is only a few hundred – just keep up solid Pinterest practices and they will come.